An employee, who worked at a Moray care home for nearly 20 years, has avoided being struck off after falling asleep on the job. Catherine Wells “exposed a resident to a risk of harm” when she dozed off on more than one occasion while she was on duty at Spynie Care home. Mrs Wells, who started working at the home in April 1996, was in charge of the night shift on February 9 last year and was responsible for checking a resident regularly. However, a staff nurse found the care worker asleep the following day when she should have been on duty. 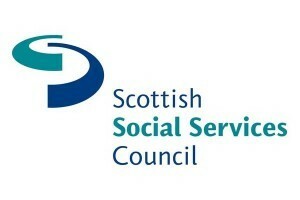 Now, the Scottish Social Services Council (SSSC), which could have struck her off, has placed a warning on her record. Spynie Care Home confirmed that Mrs Wells was suspended following the incident and is no longer employed there. A SSSC hearing concluded she had “neglected” her duties to the residents on the night in question. The report stated: “The panel considered that you had shown significant insight and regret. “You had recognised that you had placed a resident at risk of harm. “It is recorded in the disciplinary notes that you acknowledged as a care worker you had ‘let yourself down, let the resident down and let the home down’. Former colleagues of Mrs Wells, who no longer works in the care sector, spoke about her “caring attitude” and “general good practice” in advance of the hearing. And the SSSC decided not to strike her off because she had demonstrated “regret” and had not “set out to harm service users”. No evidence of harm to residents was found. The warning will stay on Mrs Well’s record for a year or until an appeal is either determined or abandoned.